Yesterday we all went out to dinner because… I didn’t cook anything. We ended up going to this Italian Tapas restaurant and I ordered several little dishes as my meal. 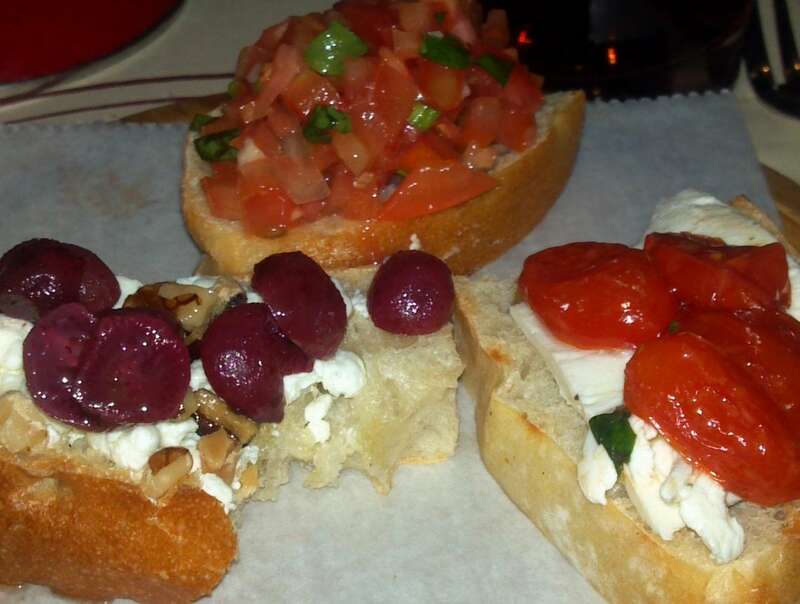 When my bruschetta came, my daughter asked what it was. Then she began to repeat the word over and over again. LOL! Almost lost it! I thought that was so funny!! I have to write these things down otherwise I will never remember.